I wanted to get bagels for my bridesmaid to eat on the morning of my wedding. I had set up a mimosa bar and thought I should give them some breakfast too. My mom said no. All my bridesmaids were staying at a hotel with free breakfast, so they were meeting my parents at breakfast, eating, and then driving over. That made it easier for me except, well, I actually never ate breakfast. So when I was thinking of what a great wedding morning gift for the bride would be, it was definitely breakfast. Of course, I added coffee because even though the bride is running on adrenaline on her wedding day, she's also running on fumes. I didn't eat from the Wednesday before my wedding until the Sunday after it. I just didn't have time to stop and do it. So coffee helps. And, just to make it more special, I actually made a coffee sleeve. You can print it out (completely free, of course) later in the post. I have two options for you. The first is the easy way: Just print out the one I already made. It's below. All you have to do is right click and save it to your computer. It's formatted to print on an 8.5x11 sheet of paper. I printed it on card stock, not printer paper, so it's a little thicker. To make it, I actually traced a coffee sleeve I already had from a local coffee shop, then scanned it. 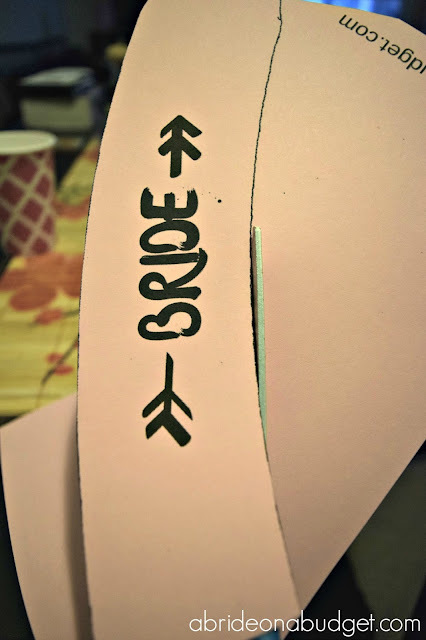 I opened that file in a design program and made something pretty with "Bride" on it. I knew the cup I was putting it on was very design-heavy, so I wanted to keep the coffee sleeve a little simpler. I printed it onto pink card stock to go with my theme. If you want to go in another direction with yours, I have a blank template for you below. You can either decorate it before or after, depending on your skill set. After you have it printed, cut it out with scissors. 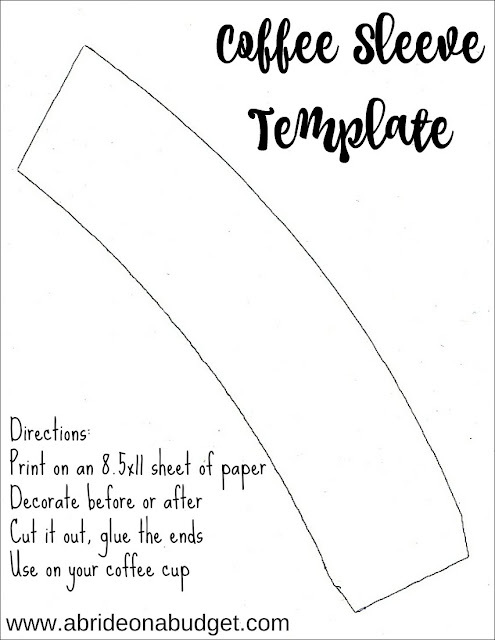 Size it around your coffee cup and glue the edges down. Let it dry. While it's drying, you can assemble the rest of your gift basket. Line the bottom of your gift basket with napkins. This is really more for looks than function, if I'm being completely honest. 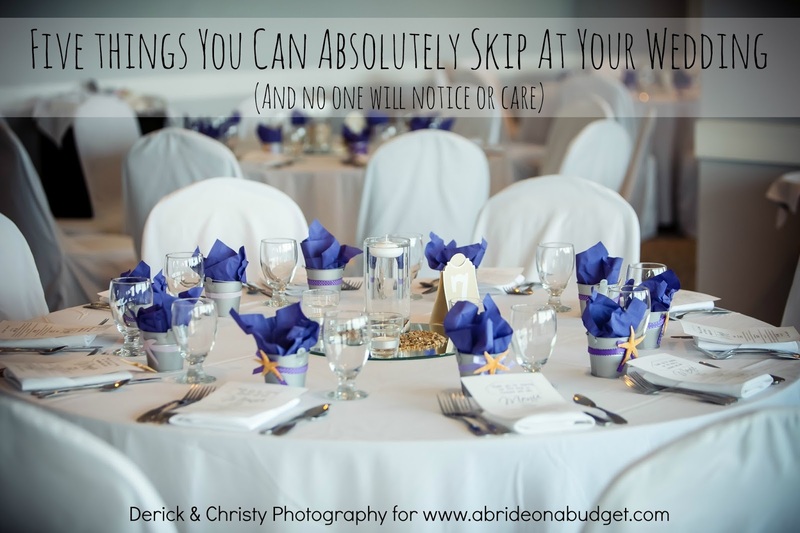 Be sure to do everything you can to make life easiest for your bride. Wash your grapes beforehand so she can eat them right away. 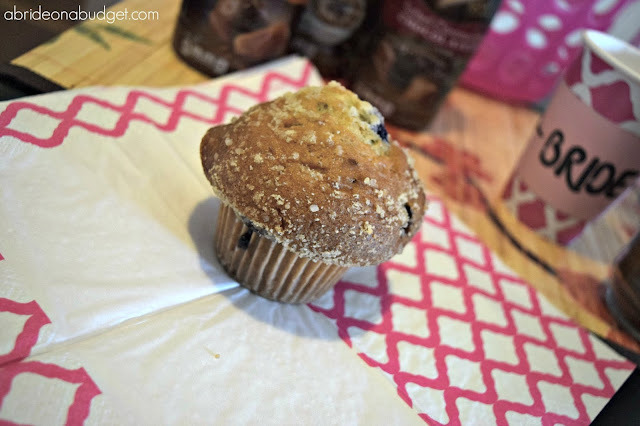 Wrap the muffin in two napkins. When picking muffins, avoid banana nut. It's delicious in general, but you don't know if any of the bridesmaids may be highly allergic to nuts. And the last thing you want on wedding morning is a trip to the hospital. 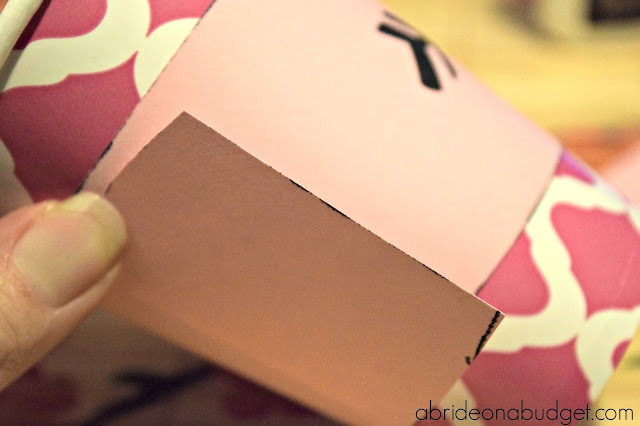 Affix the coffee sleeve to a coffee cup. 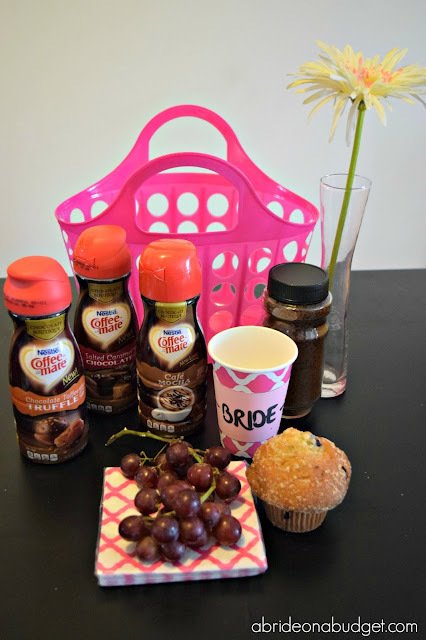 At the very last minute, put the coffee creamer in the basket. 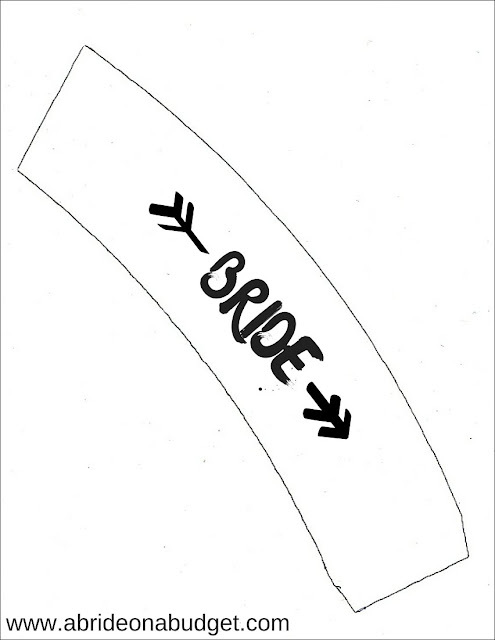 That way, it's still cold when you get to the bride's house. BRIDAL BABBLE: What else would you include in your wedding morning gift? Cathy, isn't it so crazy that brides just seem to NOT eat that morning? I'm glad this basket can remedy that! brilliant idea! 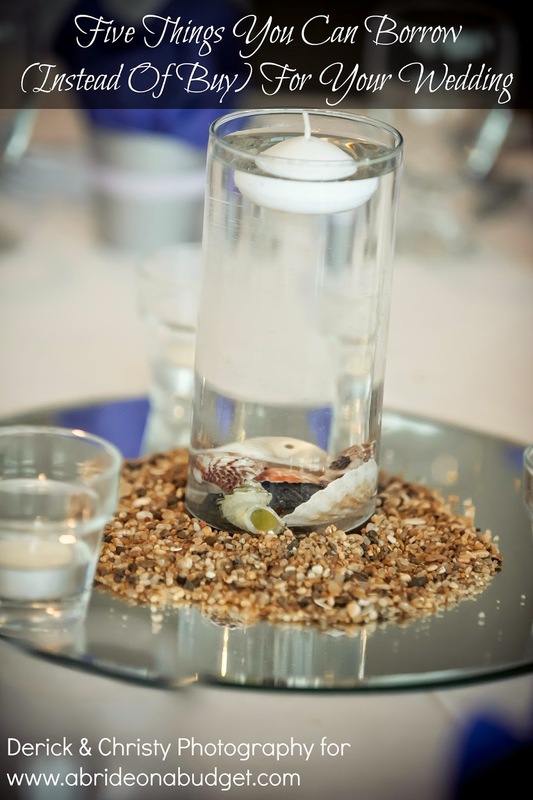 Great too you thought to avoid nuts - even if you aren't allergic sometimes they can give you gas in stressful situations and you don't want the bride followed down the aisle by a little green cloud :) I might add a small bottle of juice or water too - gotta stay hydrated! Juice and water would be a great addition. And wow, I had no idea that nuts could have that effect on some people! Such a good and nice idea, I think Miilie's comment is just full of wisdom. This is a great idea. I can't remember if I ate or not on my wedding morning. I know I ate the night before because my dad made me. Smart man. I will have to keep this in mind the next time we have a bride. I love Ibotta too. A fantastic way to save money. That's so smart of your dad to make you eat the night before. Dads really are such great people, aren't they? I love this thoughtful gift idea! On a morning that can be so hectic, this would be such a welcome surprise. Thanks for sharing! Thanks Laurie. I feel like the bride needs a little something special on her big day, especially if she's not expecting it! This is the perfect idea for the wedding day. 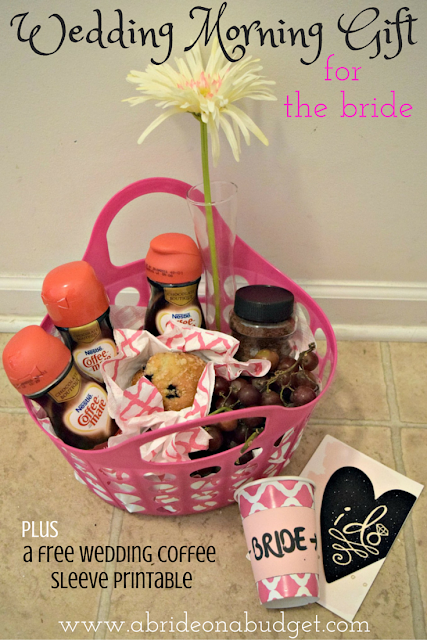 I'm sure any bride would absolutely love the thoughtfulness! Thanks Beverly. I'm going to plan to make this for every wedding I'm in from now on! Great gift basket!! 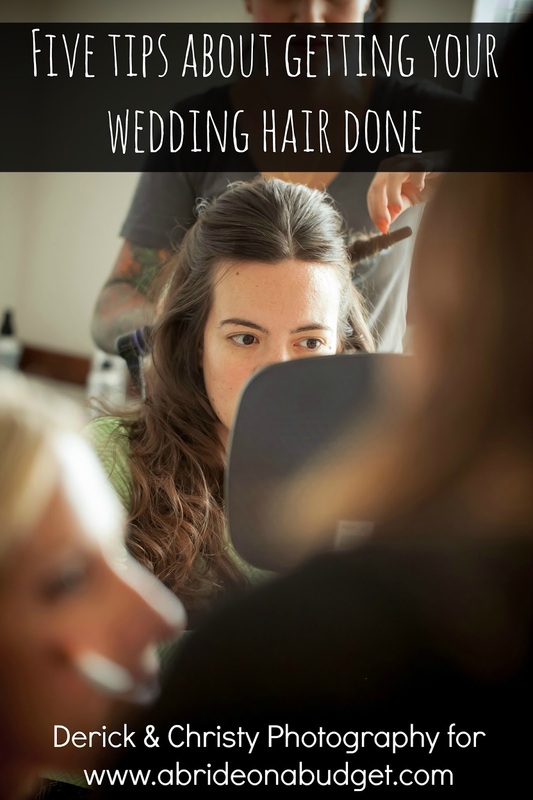 I so could have used this the morning of my wedding it was so hectic. This is such a fantastic idea! I love it! Thank you for sharing.